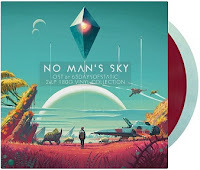 No Man's Sky: Music for an Infinite Universe is the title of the soundtrack to the highly anticipated space simulation. The British post-rock band 65daysofstatic accompanies your adventure with ten music tracks that you can listen for free below. In addition to the ten tracks listed below, the track list will also include six other "Soundscapes", ie appropriate background music to match the atmosphere in space. These songs, however, are reserved for the physical release of the soundtrack. The OST released under the label of Laced Records. The universe of No Man's Sky is procedurally generated and similarly to adapt them to specific game situations and emphasize the atmosphere of the game at any time to fit the soundscapes. Developer Hello Games has worked with British post-rock band 65daysofstatic for the project since 2014. Their style is characterized mainly by guitar-driven instrumental music. Information on the band can be found on the official homepage.